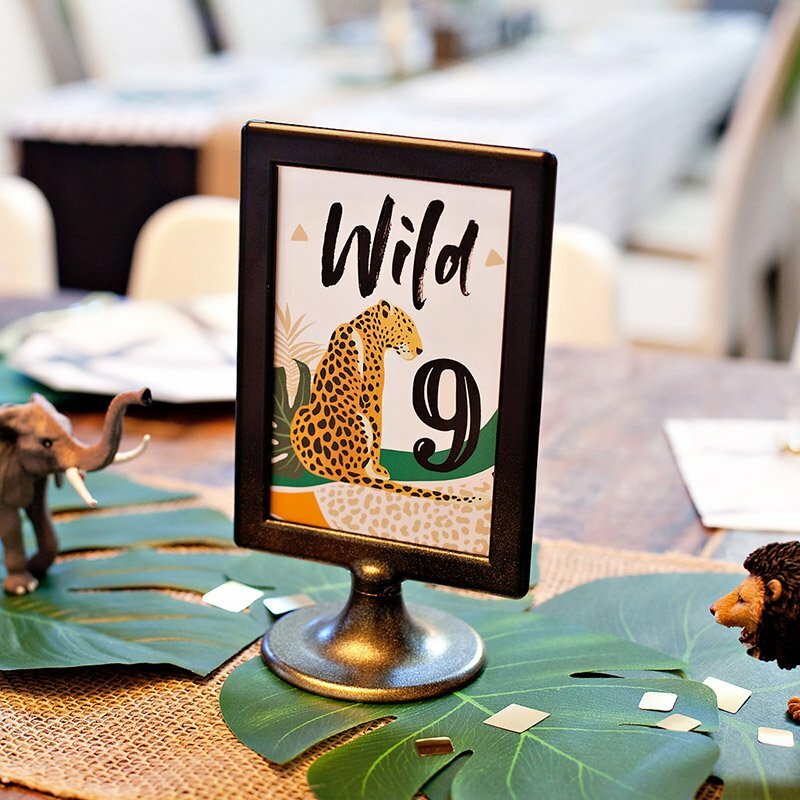 Sometimes I see a party that is so perfectly simple & sweet, all of the details are truly able to shine. 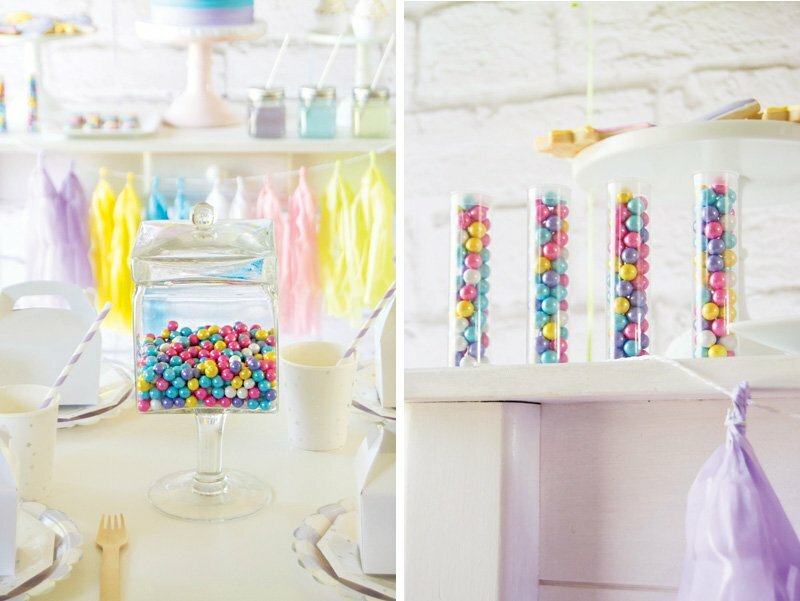 Styled by Andressa Hara of Twinkle Twinkle Little Party, this Pastel Rainbow Unicorn Birthday Party is a perfect example of that! 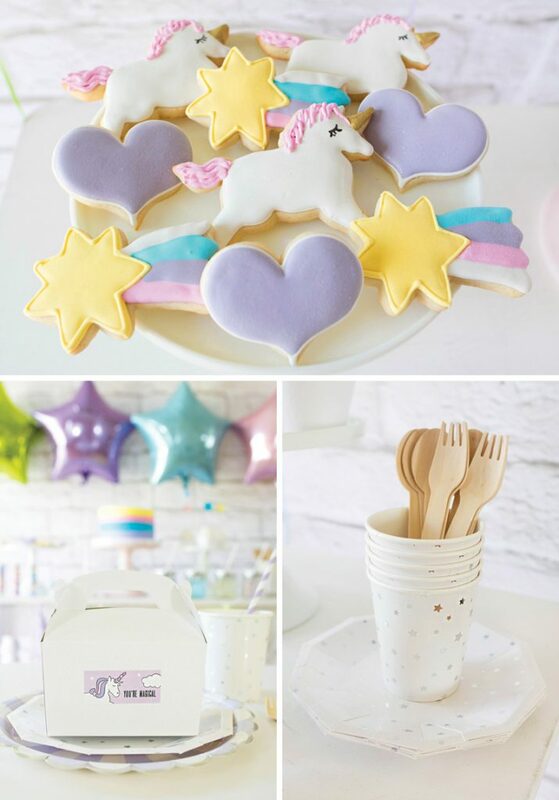 From the coordinating tissue tassels and star balloons to the most adorable unicorn & shooting star cookies — there’s (almost) too much cuteness! 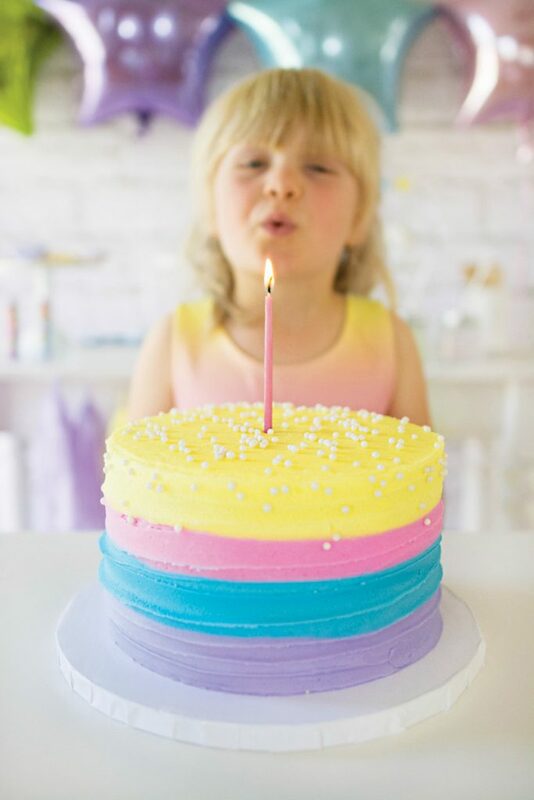 I’m also loving the bright pastel color palette… such a darling twist on the classic rainbow. 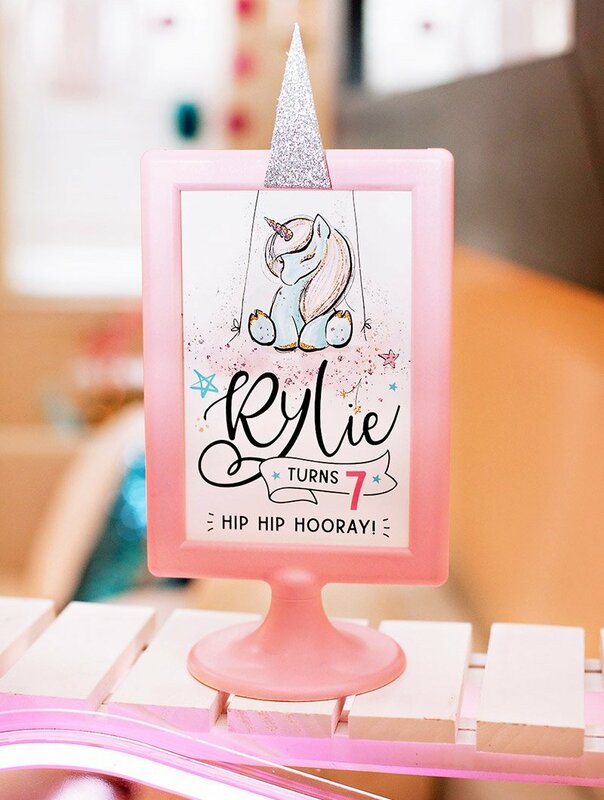 Rainbows and unicorns are magically delicious and what little girl wouldn’t be delighted to have them both at her party? 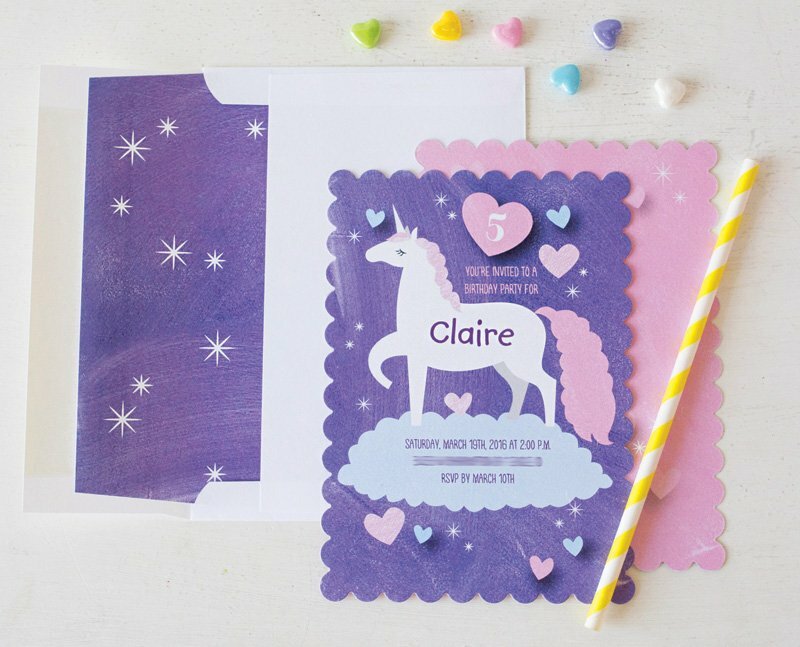 This Rainbow Unicorn party might be simple, but it is by no means short on fun and color! Let’s start with the bright pastels that were incorporated, rather than primary colors of the rainbow. 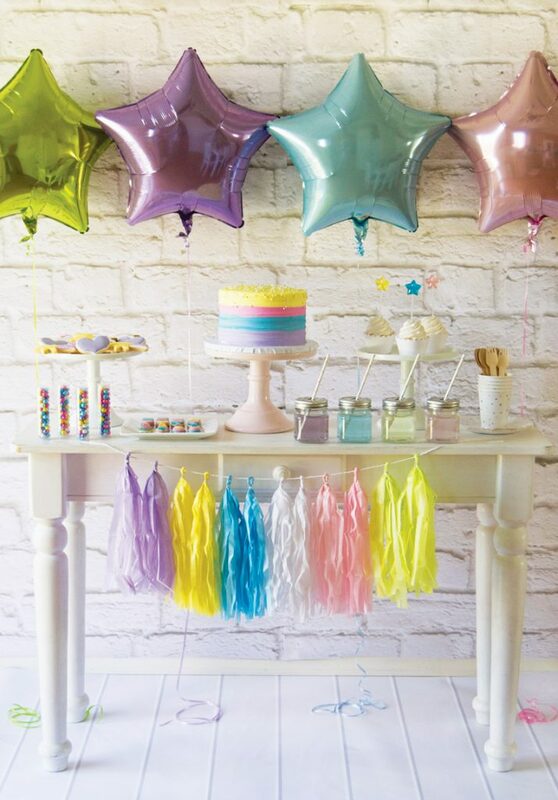 The white brick backdrop and star-shaped balloons look as delicious as the rainbow buttercream cake that takes center stage on the dessert table. 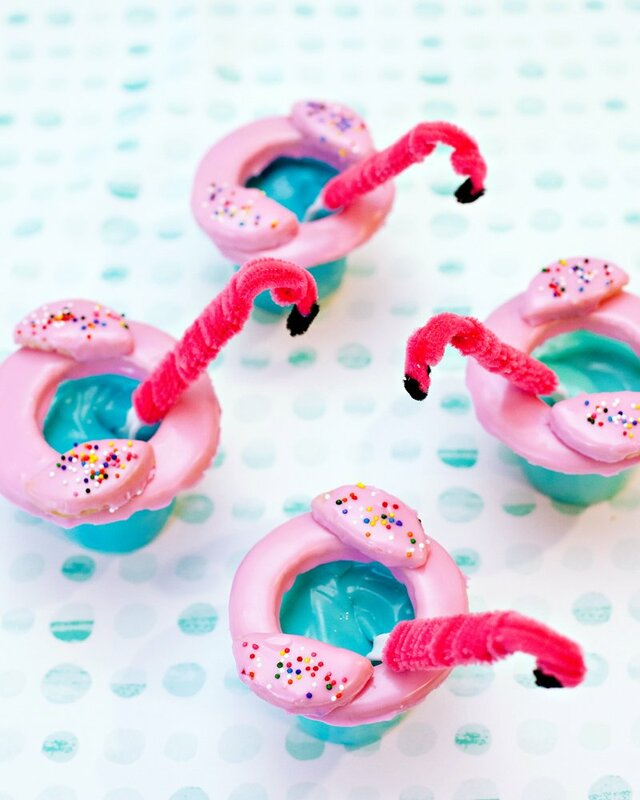 To complete the look, the DIY tissue tassels are reminiscent of unicorn tails. But the fun doesn’t stop there. 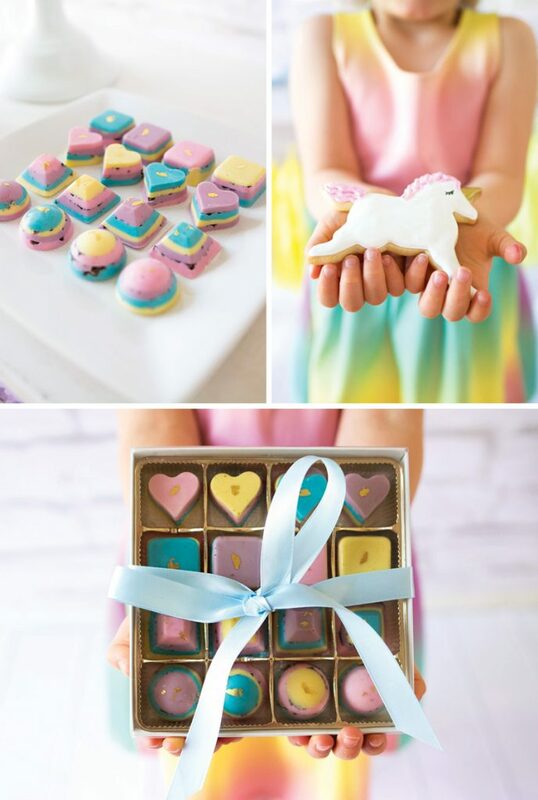 The custom decorated cookies — unicorns, shooting stars, and lilac hearts — are breathtaking. Did we mention the amazing Oreo bite cookies also decorated in the party colors? 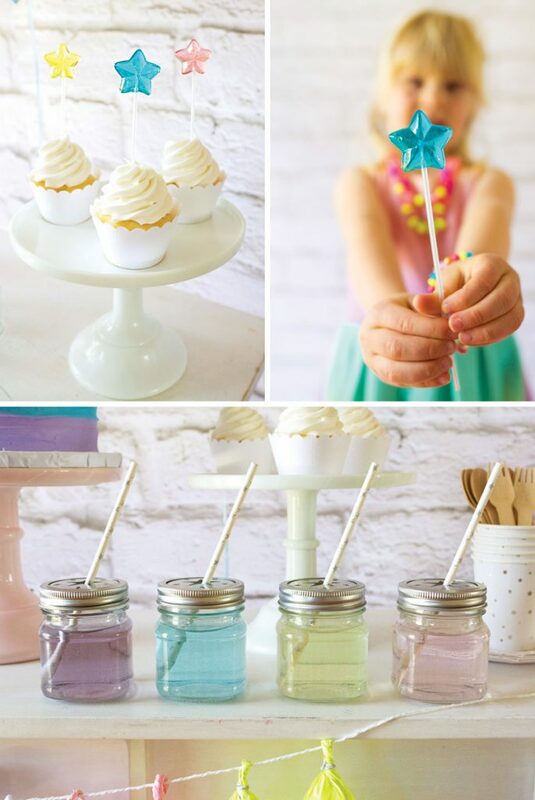 Take note from this party that your drinks don’t have to be limited to fruit punch or juice boxes and serve up “rainbow” lemonade in these darling mini jars complete with star lids. How do you get other rainbow and unicorn fans excited about a party like this? 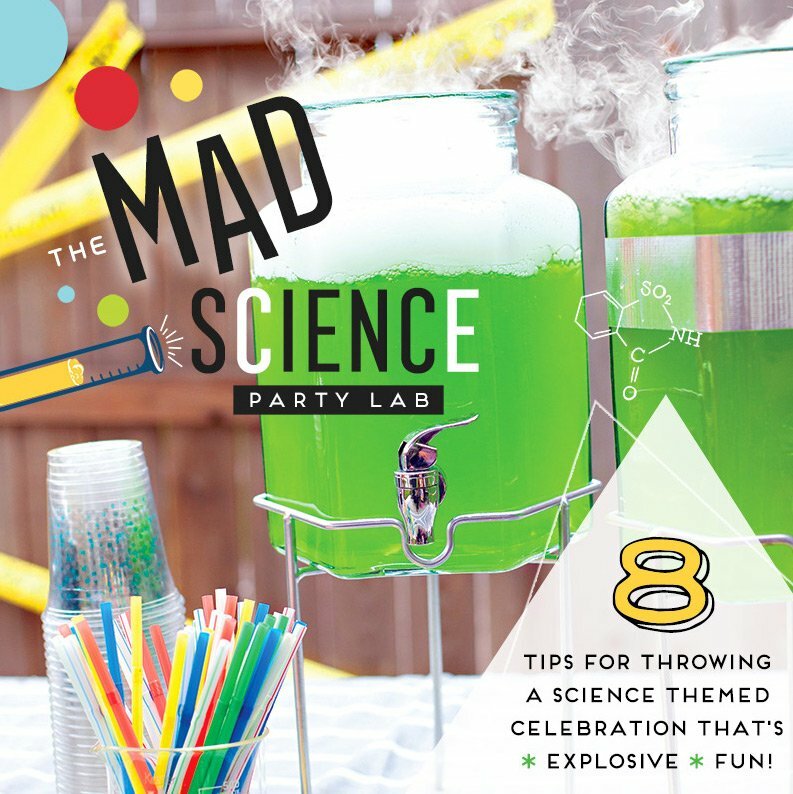 You send them the charming invitation that inspired this party design. As if the invitation wasn’t beautiful enough to set the tone for the party, there are coordinating envelope liners as well. To say “thank you for coming” check out these unique ‘Color Me’ thank you cards. 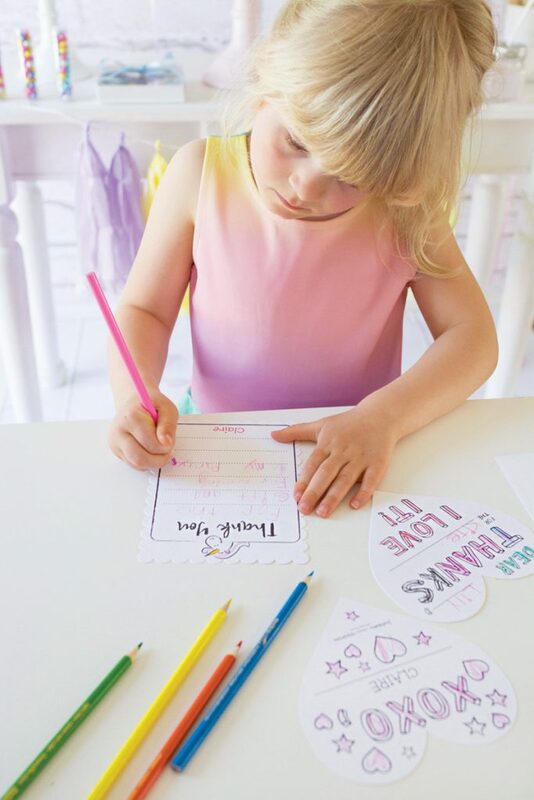 Your birthday princess can color them and write a special message to give guests all before they wander off on their next adventure. 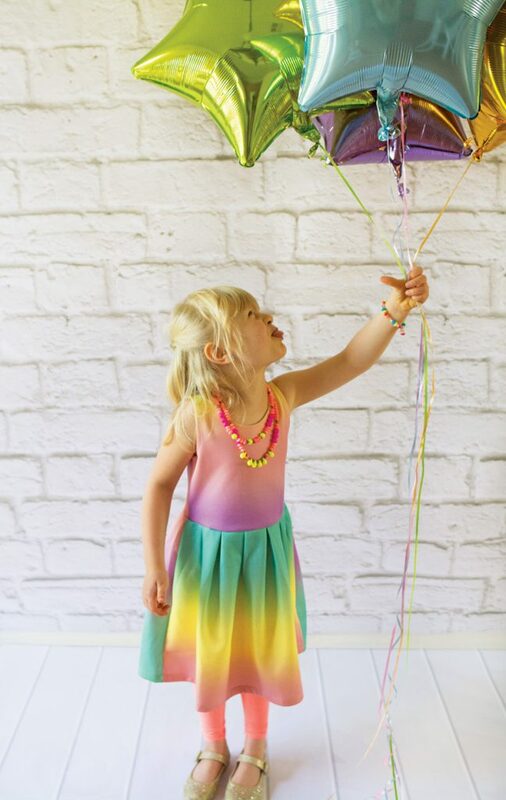 I love the color palette and those balloons! 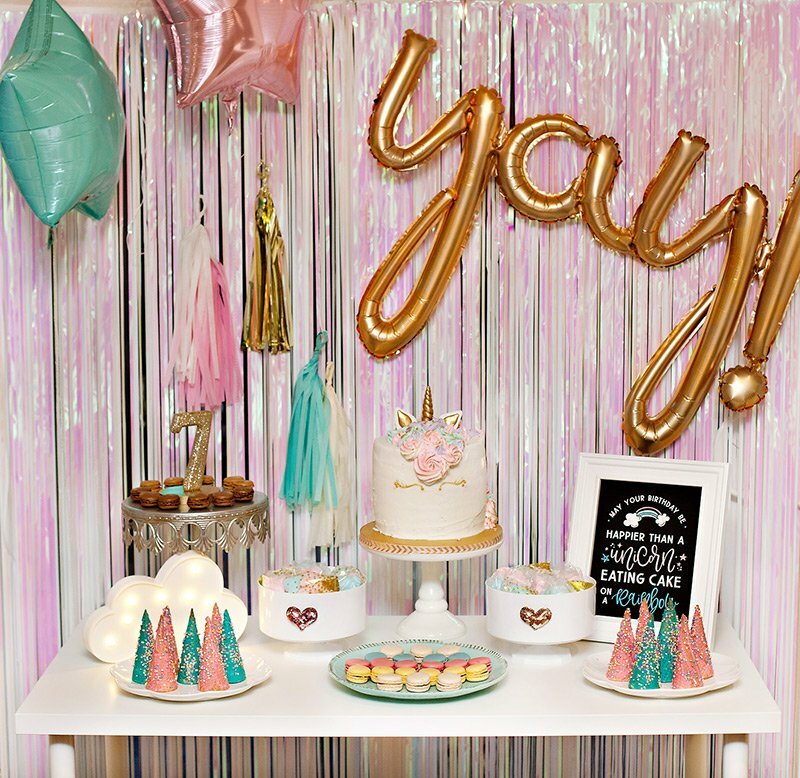 This party is darling and a fresh take on unicorn parties. 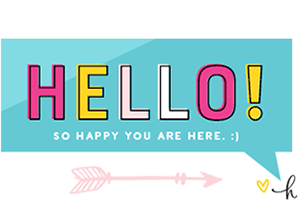 The paper goods and invitation are SO CUTE! I’m convinced I need a unicorn party. You are the sweetest, Marie! Jenn, always an honor to be featured on HWTM. I appreciate your time! Thank you so much!